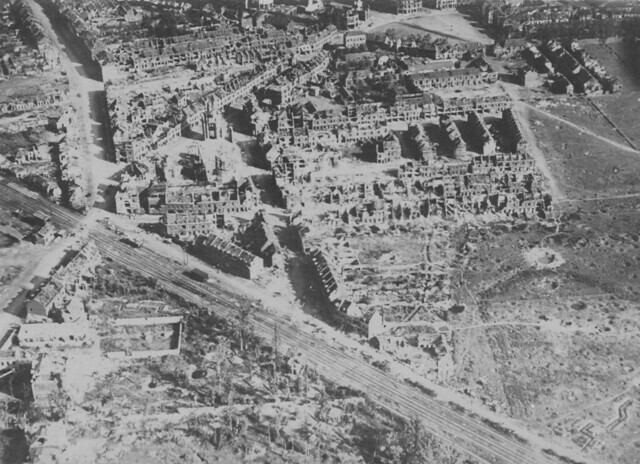 Aerial imagery of the Great War gives a fascinating insight into the battlefields of WW1 and this week on the site we will feature three German images showing different locations on the Western Front. 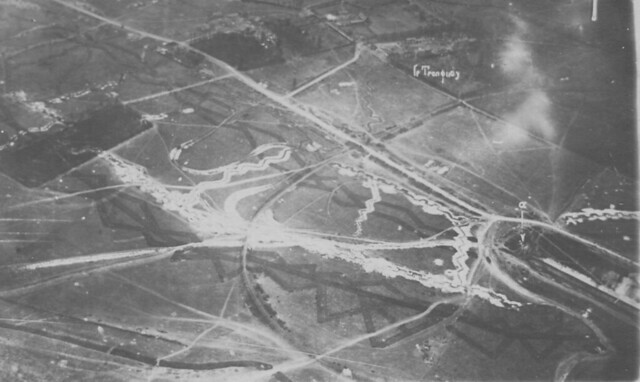 While it is likely they were originally taken for intelligence purposes these images had been transferred to postcard as souvenirs for soldiers at the front. Some of these were later re-sold to British soldiers during the occupation of the Rhineland from 1919. 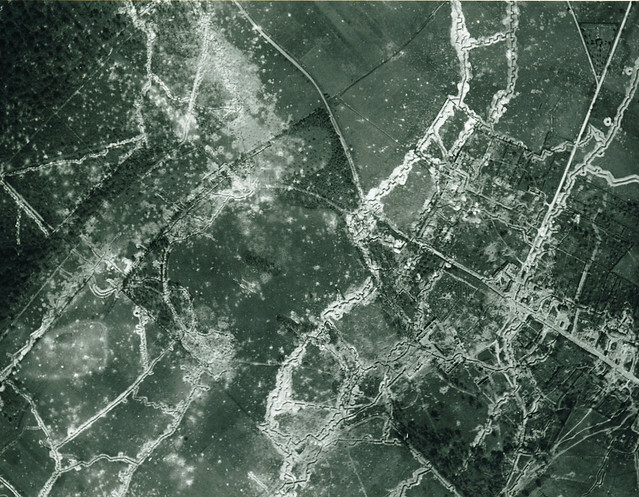 This image dates from 1915 and shows the city of Ypres from above. 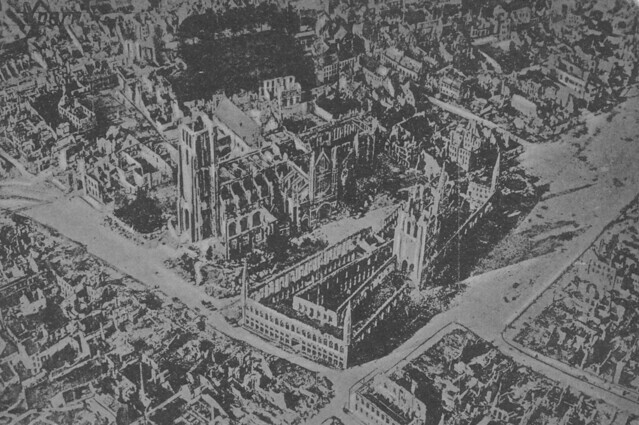 By this stage of the war Ypres had seen two major battles – First and Second Ypres – and the buildings come under a terrible hail of shells of every calibre up to 420mm: one account of a commander based at nearby Potijze in early 1915 recalled watching 420mm shells descend on the Cloth Hall and St Martin’s Cathedral and take huge chunks out of these buildings: both part of what pre-war guidebooks called a ‘medieval gem’. And it is indeed these two buildings that feature in the centre of this image; the Cloth Hall on the right, by this stage a shell, and St Martin’s Cathedral above it still recognisable but also a shell. Modern visitors find it incredible to gaze on these two buildings today and think that not only were they once in this state by they were almost just rubble by the end of the war. Post-war they were rebuilt using the original medieval plans along with the rest of the city, but to give some idea of how long it took – the Cloth Hall was not finished until 1962.